Pupils will be allowed to miss school in Edinburgh in order to take part in a global climate crisis protest. City of Edinburgh Council said pupils could attend a planned rally outside the Scottish Parliament as long as they had permission of parents or carers. Students around Scotland have been staging school walkouts as part of a call on world leaders take action on climate change. 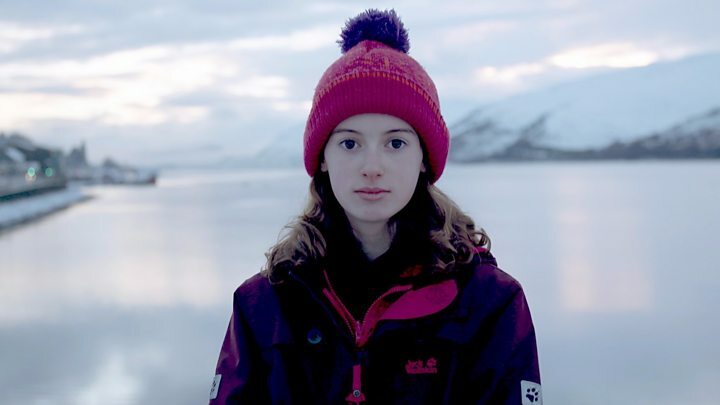 The action has been inspired by 15-year-old Swede Greta Thunberg. Edinburgh is believed to be the first local authority in Scotland to consider such actions as an "authorised absence from school" . The council has advised schools that prior written permission for children must be given for the absence. Edinburgh Green councillor Mary Campbell, who put forward the idea, said: "Climate breakdown is the defining issue of our age. "The future will depend on how willing we all are to listen to children and young people whose futures are most at risk, versus some politicians or vested interests who want to delay or do nothing. "So that it is why I want Edinburgh to show a lead and recognise the importance of the climate strikes, and support the children and young people taking part." 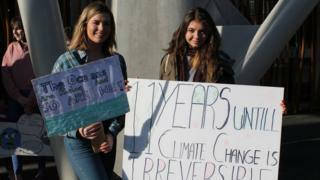 Last month young people in the Highlands, Glasgow and Edinburgh were among those taking part in the UK-wide Schools 4 Climate Action one-day protests. Some children in the Highlands, such as 13-year-old Holly Gillibrand from Fort William, had been staging strikes for weeks by that point. Highland Council has been recording the strikes as unauthorised absences, but they incur no punishment. The next global day of action is planned for 15 March, involving 50 countries, with demonstrators in Scotland due to gather outside the Scottish Parliament. Such moves have gathered momentum in the UK since the start of the year but concerns have been raised about how schools and education authorities should handle them. The motion to consider the protests as authorised absences was backed by City of Edinburgh Council's vice-convener for education Alison Dickie. She said: "I am utterly proud of our young people. There can be no more powerful learning experience than getting actively involved in real life global issues, such as action on climate breakdown. "I'm proud too that we are choosing to celebrate, rather than stifle the positive energy of our young people, and it showcases the very caring and responsible citizens we are shaping across our schools."